What is credit? Credit is the borrowing of money to use now and to repay later. Credit is something many people deal with on a daily basis and need to understand. In its simplest terms, credit is what a merchant extends to consumers based on individual trust. Modern credit is more than just an in-store agreement to take something home and pay for it later, though. Not only is credit the act of borrowing from banks, credit unions or others, it also represents your reputation as a borrower. What Is Credit Card Price Protection? If you have good credit, this means you pay back the money you borrow on time. If you have bad credit, on the other hand, this indicates you may not have good repayment habits. Your credit, then, is a combination of factors relating to your borrowing history. Lenders use your borrowing history to determine if the lender should offer a loan to you. Many other factors that may also influence the credit a company extends, including the type of loan sought, co-signers and security. Most credit card companies extend unsecured credit, which means there is no collateral backing the value of the lent money. Secured debt, such as home equity lines of credit or secured credit cards, have lower risk because real estate or money is backing the borrowed funds. Determine what your credit history is by getting a copy of your credit report. You can obtain a free copy of your credit report from AnnualCreditReport.com. Utilize this report to determine areas you can improve your credit reputation. Make monthly payments to credit card companies on time. Reduce the amount of debt you carry from month-to-month. Avoid charging over the credit limit. Minimize the amount of unsecured debt you have, such as credit cards. The credit bureaus will provide you with information on how you can improve your credit history on your credit report. Use this information to boost your ability to obtain new credit in the future. In order to get more credit, most borrowers need to have credit and use it. If you plan to start a business, purchase a home or make another substantial purchase in the future, work to improve your credit score. Using credit wisely is the key to building a strong credit history, which encourages financial institutions to lend to you. 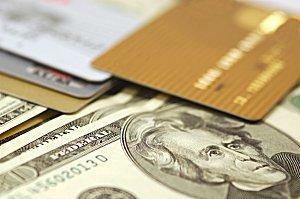 Apply for credit cards with low interest rates. You can find offers for credit cards at CreditCards.com or BankRate.com. Purchase a car using a loan. Build your credit by making payments to the car loan on time. Respond to credible offers received in the mail for credit. However, read the terms and conditions prior to applying. Limit the number of new accounts you open to just one or two every six months to protect your credit score. Contact the credit card companies you have and request a larger credit limit. Many will extend a larger limit if you are a good customer who makes payments on time. Get a co-signer, if necessary. If you do not qualify for a credit card on your own, a co-signer can help by taking financial responsibility for you if you default on the loan. Having too much credit can also be detrimental. A bank will look at all of an individual's available credit to determine if you are spending above your financial means. Lenders judge how well prospective could handle that financial burden before agreeing to additional loans, such as mortgages or car loans. Be able to demonstrate reliability and trustworthiness with each one of the accounts you have now in order to qualify for future loans.